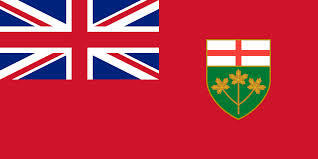 This week Moody's Investor Services changed Ontario's debt rating Wednesday to negative from stable over concern about a projected 2017-2018 budget deficit of $12.5 billion. Ontario government ministers were quick to play down the severity of a warning. "The bankers aren't freaking here," Finance Minister Charles Sousa is reported to have said. But as the new Wynne government gets set to release the Ontario budget some hope the government will be less cavalier about the debt and acknowledge there is a serious problem in the province. This was the message delivered Thursday of this week by Ron Kneebone when the School for Public Policy at the University of Calgary issued a report on the debt of Ontario and Quebec. One of the authors of the report, Kneebone talked about the differences between Ontario and Quebec. "Quebec is actually looking better than Ontario. At least Quebec is admitting there is a problem. The last PQ government stated this and laid out a plan to address the debt. Quebec has done that. They have said they are going to reduce their debt and announced a plan to reduce debt by half by 2026. Ontario has yet to do this. They haven't come out with a real plan," said Kneebone. So far, provincial officials have seemed happy to let current borrowing advance. Any talk about a debt plan has been to cut spending to pre-recession levels. This is nothing to brag about says Kneebone. The report lays out the bigger, more troubling, story. In the 1990s the NDP government of Bob Rae began accumulating debt at a great rate. The Harris government achieved some cuts. When the Liberals came into office they carried on with that program through first half of their term. But by the second half of their term the Liberals returned to the NDP--style spending. Since 2008-2009 the province has increased spending 19%, but has only matched that with an 8% increase in revenue. This is, of course, unsustainable. Simply returning to pre-recession debt levels will not solve the big problem. "The first thing the province has to do is stop digging the hole," says Kneebone. "That's the first thing. Then they have to talk about how they are going to reduce all that accumulated debt." Kneebone says he'll be looking for a signal from the government that Ontario, like Quebec, has recognized the unsustainable track the province is when the next budget is introduced. "Actions speak louder than worlds. I'm looking for clear statement on how they plan to deal with this. The Ontario citizens will have to suffer a bit of bad medicine to stop accumulating. But we need to hear what the plan is, how they are going to stop spending and then begin decreasing debt. They need to spell this out so citizens can mark the plan and hold their feet to the fire." The School of Public Policy paper can be found here.